Frameless walk in shower enclosure installed in this modern Scottsdale home. When most homeowners picture the bathroom of their dreams they often envision a frameless glass shower enclosure. It is the centerpiece of the room, and the style determines the look and feel of the entire space. In addition the shower is at the heart of the bathroom experience. It is a place where you prepare for the day ahead, and unwind upon your return home. When the shower incorporates all of the luxuries and design elements that you desire, it can transform your bathroom from four walls and a few plumbing fixtures to a spa of your very own. 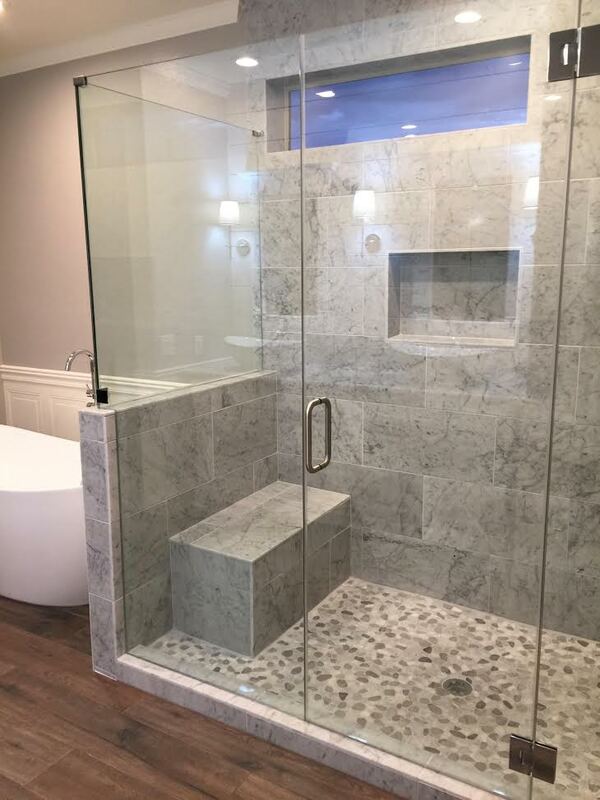 One of the biggest mistakes that most homeowners make is saving the design of the frameless glass shower enclosure until last. The entire layout of the bathroom should be designed around the shower since it is the most important element, not the other way around. You can pick the tile, hardware, and plumbing fixtures after the exact specifications of the frameless glass shower are finalized. The bottom line is that you want everything to match and to be able to fit into the space without looking crowded. There should be a natural flow to the room. For example if you would like the glass enclosure to incorporate a rain shower or body spray than it needs to be large enough to include those items and still fit the other plumbing fixtures into the bathroom space. 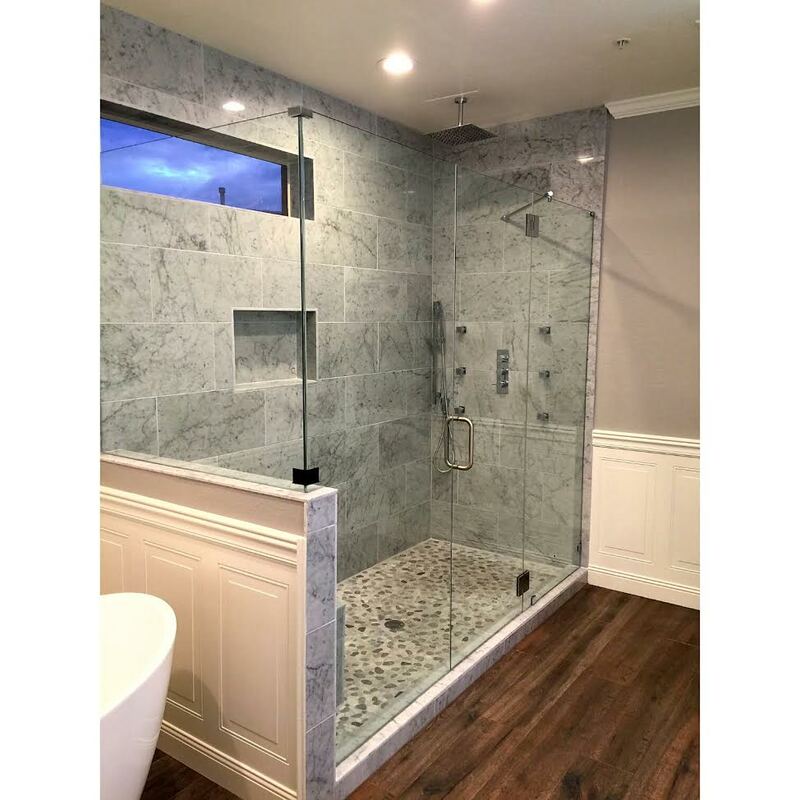 By designing the rest of the bathroom around the glass shower enclosure you will be able to accomplish the look you want while including all the features that you desire. Another good example is the hardware. If your design includes glass-to-glass hinges, or another minimal hardware effect than the hardware throughout the rest of the bathroom should match. In the case of a support bar that is mounted on the glass shower enclosure, it should match the towel bars that are mounted on the bathrooms wall or walls. Frameless glass shower enclosures have become such a popular design aspect because they provide the bathroom space with that luxurious, oasis like feel that people enjoy. In addition they can be completely customized in order to showcase the elements of the homeowners personal style and interior decorating taste. A properly designed frameless glass shower enclosure should look like it was custom made to be in a specific space. It should appear as if it is part of the overall design of the home and not simply chosen from a catalog and placed in the bathroom. Although price is always an important aspect of any home remodel, homeowners should base their budget around the long-term value that the glass shower enclosure provides. A Cut Above Glass is the leading designer and installer of frameless glass shower enclosures in Scottsdale, Arizona and surrounding areas. Please contact us today for an initial consultation regarding any and all of your glass related needs.